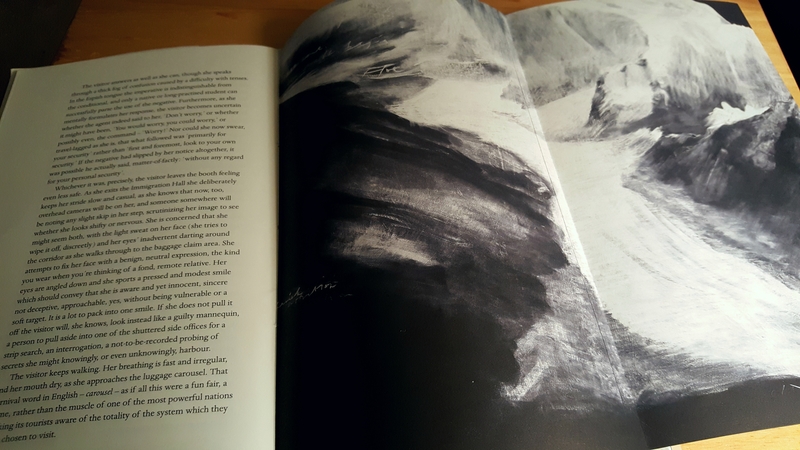 Each edition to the Cahier Series, the joint project of the Center for Writers and Translators at the American University of Paris and Sylph Editions, is a short meditation that, like the gatefold illustrations within, opens up to encompass a larger, wider world of ideas, words, and meaning. 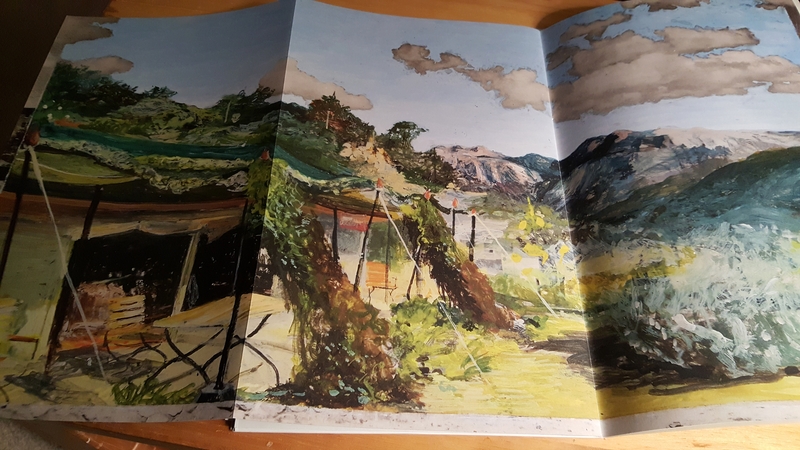 Running to less than forty pages apiece, half typically given to specially selected images, these small volumes invite the reader to slow down, take a little time, enjoy the journey. The reward is a story, fable, or essay that lingers in the imagination. The train dips, a singsong announcement is made in a pair of languages – the distinctive Samarkind full of hiss-clicks and spirants spoken with native confidence; the other, romance-influenced but hesitant, uttered with deliberation, for profit – and then the visitor watches the world go dark. The moment gives an inkling of the planet’s approaching apocalypse; she shudders. She is in a lit moving bullet that penetrates the ground. Down, gradually, down; then level. Above the visitor’s head, though it hardly bears thinking about, is a tremendous body of water, alive with sea creatures, ocean vessels, corpses, aquatic plants, and debris – plastic bags, shipwrecks, messages in bottles that will never reach their intended shores. We will learn that this far-seeing island state, once reticent about visitors, is planning to recreate themselves as a modern-day Atlantis in an inevitable underwater future. Thanistan is, as its name implies, is a harsh, silent country that is likely more appealing to the dead (and philosophers seeking peaceful reflection), whereas Alluria, a land promoted with bright and inviting posters promising relaxation and fun in the sun, is but a façade, briefly enjoyed, of a dismal, impoverished world. The exact nature of the place is only hinted at. Lured there once, no one returns for a second visit. One can, of course, travel to a disadvantaged society and stay safely ensconced within the environment of an inclusive five-star resort. Isn’t that what “getting away from it all” promises? These encounters with foreign spaces, fraught as they are with anticipation and disillusion, anxious border crossings, and concern about understanding and being understood communicating in foreign tongues within cultures with different mindsets (“as she mentally formulates her response, the visitor becomes uncertain whether the agent indeed said to her, ‘Don’t worry,’ or whether it might have been ‘You would worry, you could worry,’ or possibly even the command – ‘Worry!’”) are delivered with such a delicate touch that a strange, haunting beauty comes through. The allusions are offered and allowed to lie as they are, each trip only touches the surface of the visitor’s experience, leaving the reader to wonder how each adventure unfolds and reflect upon what these strange, evolving, troubled landscapes have to say to us now, travelers as we are, together on a finite planet. Accompanying Brownrigg’s imaginary travelogue are a series of vivid chalk and charcoal illustrations by British artist Tacita Dean. Lush bright scenes alternate with grey, abstract, stormy images to reinforce a sense that this journey has taken us to places that, if nowhere, could be anywhere at all. This sounds like a fascinating series. I’ve enjoyed Brownrigg’s fiction very much, particularly The Delivery Room, so will look out for this one. She is new to me. Her writing is quite evocative. This reminds me a little of The Garden of Sorrows, a collaboration between the writer John Hughes and the artist Marco Luccio: it’s a reinvention of Aesop’s fables, set at the dawn of time when the earth was being formed, with B&W etchings as an integral part of the book. It is just beautiful. 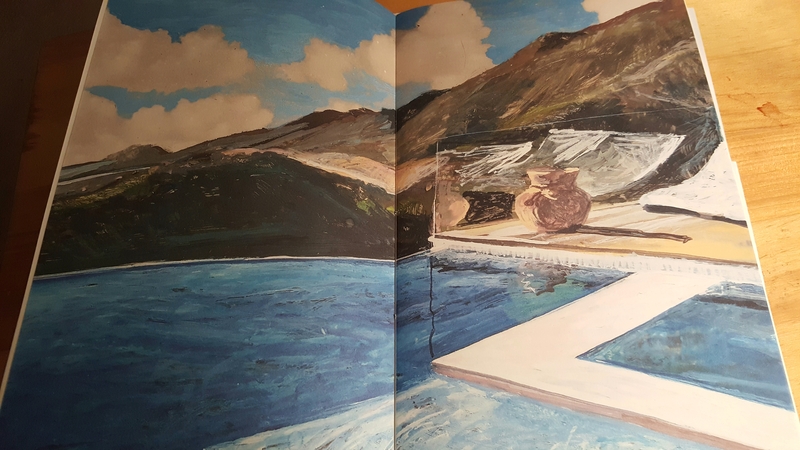 I reviewed it here https://anzlitlovers.com/2013/09/30/the-garden-of-sorrows-by-john-hughes-with-artwork-by-marco-luccio-bookreview/ but I didn’t include any of the artwork because I was worried about copyright, and unfortunately the link to an exhibition of the artworks is now dead. In this series I think that the images are selected to accompany the commissioned (or translated) work, in this case there is a list of the galleries where the originals are exhibited. The pairings are interesting in themselves—this is a particularly effective match. Both the visual and the written aspects are an integral part of the reading experience though. I’m not going to read this review as I recently received a copy of this Cahier for my birthday and want to read it without any idea to expect! (Will return next week, after I’ve read “The Restless Traveler…”)But yes, aren’t they lovely? And a perfect size for what they do, what they intend, what they accomplish. They are very special. Perfect for an appreciator of the book as object and literary treasure such as you! This looks like a gorgeous book, both in terms of the writing and the illustrations. Lovely review. Thank you. It is a beautiful addition to the series. 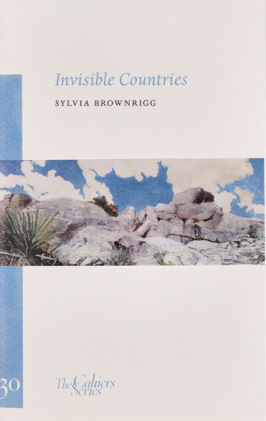 With such outstanding presentation, I can imagine that the installments in this series would become good companions even if one wasn’t already anticipating a good read; I’ve heard only good things about Sylvia Brownrigg and I’m sure this would be a lovely place to start.